Trademark registration can take months, in some cases over a year. This means doing your due diligence prior to applying is key so you don’t prolong the process by choosing trademarks that get rejected. Also, hiring a knowledgeable Washington DC small business lawyer to help you through the process can help you avoid this list of potential pitfalls. Using generic words and terms is a surefire way to get your trademark rejected. As generic words or terms are not distinctive or easily linked to a brand, they generally won’t hold up in court. 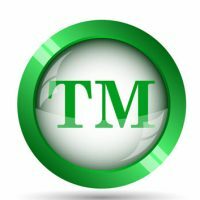 Some people say using the “TM” symbol is the common-law trademark, but it is very limited. You should protect your trademark by registering it with the US Patent and Trademark Office. Once the application is granted, you can use the ® symbol. Before you apply for your trademark, you must use it in commerce. The process won’t begin until you’ve started using it in the stream of commerce. You can file an intent to use it, but you only have 36 months to file a statement of use, so it’s best if you start using your intended trademark as soon as possible. Digging deep in the USPTO database is essential. And, don’t limit your search to active trademarks, look for exact or similar ones that have been abandoned or canceled. Think outside the box and look for names that may be similar, like cat and kat. Thorough searching up front can help save legal issues down the line if someone comes back and claims you’re using their trademark. Don’t forget about your brand’s tagline. If you have a great tagline, why wouldn’t you want to trademark that too? Remember, in some cases, a tagline can become more of a brand identifier than the logo or name itself! Be sure to monitor the status of your application. The Trademark Status and Retrieval system lets users track the status of their application. If the USPTO needs you to respond, you’ll have about six months to respond, otherwise USPTO will cancel your trademark or declare it abandoned. From there, you’ll have to pay additional fees to reinstate the application. Some people assume that if you file a trademark, it covers everything and anything. That’s not the case. Trademark ownership in one class will not give you the right to use it and enforce your brand against someone with a similar trademark in a completely different class of goods. If you’re in the process of setting up your small business, rely on the team of Tobin O’Connor & Ewing; we have years of experience with everything from deciding on the best type of business and drafting all the paperwork through handling legal disputes that arise in the course of day-to-day business. Contact our office today to schedule a consultation.